I got my new bike on Saturday! It rides so smoothly. The bar end shifters are great, and the wheels are amazing. 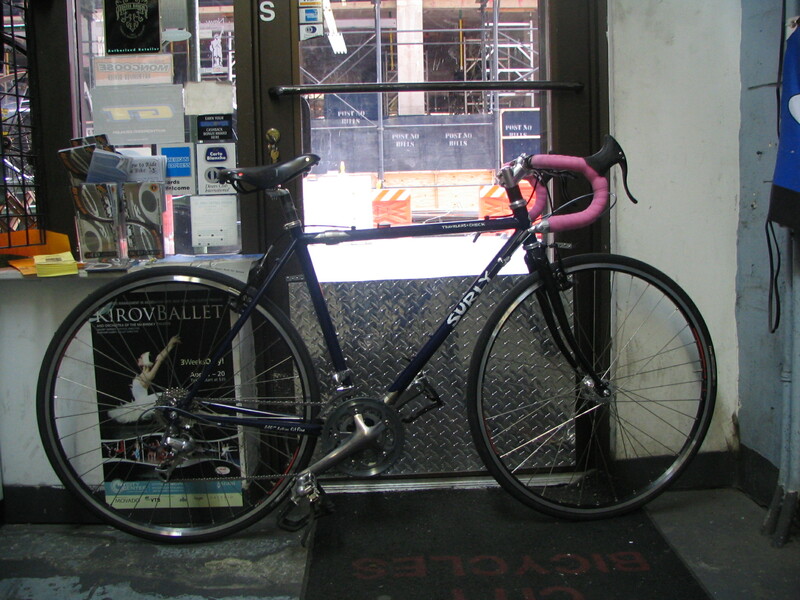 Thanks to City Bikes for building it, Brantley for the handlebar tape, and Will and Oksana! « ‘Get Faster’ goes to the Bicycle Film Festival, May 31st!